Non of our guides provide substitution for a legal attorney. We are not a law firm or a substitute for an attorney or law firm. See our disclaimer at the bottom of this screen. In case you do seek a social security disability lawyer we recommend the following firm Jorgensen Law located in San Diego, California. The Social Security Administration (SSA) pays disability benefits to adults and children who are affected by a long term disability. If you are disabled due to a physical or mental illness that prevents you from working, you should file a disability claim as soon as you believe that you are disabled. Applying for Social Security disability benefits (SSDI) or Supplemental Security Income (SSI) on your own is not as difficult or complicated as you might think. Starting the process quickly is essential because you can expect a long processing time for your application, and the appeals process can also be lengthy. At Represent Myself, we can help you apply for Social Security disability benefits without needing to hire a disability lawyer. We help you manage the entire process of applying for benefits and appealing on your own. Our expert videos and resources help to guarantee that you have the highest chance of winning the disability benefits that you deserve. Our experienced staff can answer your questions quickly via email, live chat or telephone. Visit us at https://www.representmyself.com to learn how to apply for Social Security disability from start to finish without ever having to hire a social security attorney! You have several options to choose from when filing your initial disability claim. You can file for Social Security Disability (not SSI) online if you know that you have enough work credits to qualify. You can call the Social Security Administration or your local Social Security Office if you need to confirm that you have enough work credits to qualify for SSDI. When you apply online, you will complete an initial application, but some of the documents in your initial application may need to be sent at a later date. You may also have to participate in an application interview at a later date. If you apply online, you should follow up on your application by calling your local Social Security office to check that they received it along with any extra information that you provided. You can apply for SSDI or SSI on the phone or in person, but you can expect long waiting times whether you call or visit your local Social Security office. The SSA and local offices can be quite busy, and you may have to hold for a long period of time or wait in line for several hours. You can also call the federal Social Security Administration at 1-800-772-1213. The Social Security Administration can arrange an initial application interview on the phone or in person at your local office. It is preferable to call your local Social Security office, which is usually faster. Walking into your local office without calling ahead can add more time the process. You may only receive a date and time for your application interview, and you may have to wait in line for several hours for it. You can always call your local office to get the process started and avoid traveling and waiting lines. You should pick whichever application option that you are the most comfortable with. Some prefer to apply in person with the assistance of a claims representative to answer their questions directly, while others prefer speaking on the phone and avoiding the need to travel. If you feel ready to jump into the application, the online application may work best for you, but be prepared to meet in person or talk on the phone when requested. During your application interview, you will be asked a series of questions by your claims representative about your work history, your job duties, your medical condition, and more. It’s important to remember that a decision regarding your eligibility for disability will not be made during this time. The purpose of the application interview is only to collect information about your case. At Represent Myself we give you detailed instructions on how to prepare for your initial application and interview so that you have all of the information that you need upfront. This will help to avoid unnecessary delays. Although you will start the process of applying for disability at your Social Security office or through the SSA, your application will be evaluated by your state’s disability agency, which is normally called Disability Determination Services (DDS). Your application will be evaluated by claims examiners at your state’s DDS, and this process can be lengthy. It is difficult to anticipate exactly how long it will take to process your application. Your office might give you a timeframe of up to 120 days after you apply, but it’s just an estimate. Don’t assume that your application will be processed within their anticipated timeframe, and be ready for long waiting periods. While your application is being processed, your claims examiner may call your medical doctors or providers or request information from them, request a medical examination (that will be paid for by DDS) to obtain additional medical information, call friends or relatives to request information about your condition, or send letters to your hospital and medical providers to request your medical records. The length of time that your application will be reviewed depends on several factors including the current backlog of cases, the amount of time it takes to gather additional information like medical records and forms, the information that you provide with your initial application, and more. You can almost always find out who your claims examiner is at your state’s DDS and get their contact information. You will be able to call them to ask about how your claim is progressing and to check if they require any additional forms or medical records to speed the process up if you suspect a delay. Whether you choose to apply online or in person, Represent Myself gives you detailed information on the type of information that you should include with your initial application. The training and information that we offer will speed up your application processing time. Our step by step guidance is easy to understand and makes the process more than manageable. Some of the questions on the application can be confusing, and we help you understand these questions so that you answer them accurately and so that your state’s DDS will understand the full scope of your disability. If you are denied, we also provide you with details on how to appeal your decision on your own behalf without needing to hire a social security disability attorney. Filing your application, sending in supporting documents, and following up and awaiting your decision is just the beginning. Many initial disability claims are denied after a long waiting period. You should not let this discourage you, as your best chance of qualifying for benefits occurs once you appeal your decision. Approximately seven out of every ten initial disability claims will be denied. 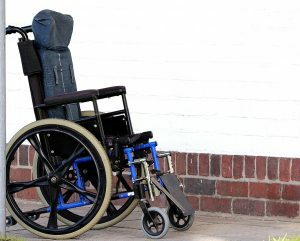 If you are denied, it does not mean that your disability is not severe enough to qualify for benefits. It means that you will most likely need to present your case in more detail before an administrative law judge. Bear in mind that your disability hearing date may be up to a year or longer in the future, so you should be prepared for a long wait for this as well. As mentioned previously, your initial application can take several weeks to process, however the sooner that you gather your medical records and other documents and submit your initial application, the better. You have a good chance of being eligible for retroactive payments or back payments if you are eventually approved for Social Security disability, and the sooner that you apply, the greater the amount that you will be eligible for. 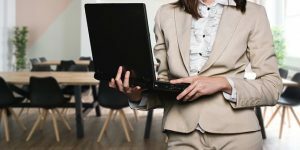 Many applicants mistakenly believe that they must hire SSDI or SSI lawyer at some point during the process to have a good chance of success with their disability claim, but this is often not the case. A disability attorney cannot always improve your chances of success because they are working with many clients at once, and often don’t have the time to devote to your case to improve your chances. A disability lawyer will also take a significant percentage of your total payout including your back payments or retroactive payments. This large reduction in your payout is unnecessary when you manage your own application and appeals, which you are more than capable of doing. Represent Myself empowers you to manage every aspect of your application including your initial application, appeals, and the other critical steps of your disability claim. With our easy to follow video tutorials and other resources, you can increase your chance of winning benefits by up to 90%. Our expert guidance and representatives can help you file your application or appeals in a timely manner. It’s crucial that you file all of your requested paperwork on time as well as your appeals if you are denied. It’s also important that your application and appeals are as complete as possible to avoid processing delays. Our website and resources will walk you through the entire process from start to finish so that you always know exactly what to do. You won’t ever have to pay social security lawyers for advice if you are confused, and you won’t have to wait for hours on the phone to talk to an SSA representative. Applying for Social Security disability or SSI is often a drawn-out and challenging process, but we are here to support you every step of the way. Our website provides you with everything that you need to give you the best chance of success with your claim. Every week that goes by is lost potential income for you, so don’t wait another moment and start preparing for your initial application by visiting today! If you are afraid that you may not be able to apply on your own consider contacting a social security disability advocacy firm like Disability Help Center San Diego or if you are in Las Vegas, Nevada contact Disability Help Center Nevada. These advocacy firms will help you and guide you throughout the entire process.